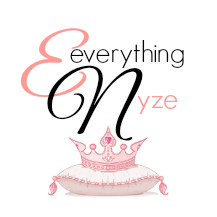 Updates + Giveaways From Authors I’m Following! Veronica’s newest baby has it cover revealed the 18th of May and God I love it! Recovering from the accident that most definitely killed him, Gideon finds himself with strange new powers and a bizarre cuff he can’t remove. His death has brought to life his real destiny. He has become War, one of the legendary four horsemen of the apocalypse. Over the coming weeks, he and the other horsemen—Conquest, Famine and Death—are brought together by a beautiful but frustratingly secretive girl to help save humanity from an ancient evil on the emergence. They fail. Now—bound, bloodied, and drugged—Gideon is interrogated by the authorities about his role in a battle that has become an international incident. If he stands any chance of saving his friends and the girl he’s fallen for—not to mention all of humankind—he needs to convince the skeptical government officials the world is in imminent danger. not what you expected, or something totally different? Hmm.. I usually give a book a chance. There were times before that I ended up really frustrated about a book and really thought of not continuing, but I still did. In my entire reading history, I only recall two books that I did not finish. One is Shatter Me. A lot loved the book and when I say “a lot” I mean a great deal really. I’m not saying the book is not good. I really can’t say that since yeah, I didn’t finish it. It would be unfair. I think I’ve read half the book and still didn’t feel the connection. Like I’m not pulled in. A lot has happened and I’m there reading, wondering why I can’t feel anything about the whole stuff. Then, eventually lost interest. Same goes with City of Stairs. See when you’re reading a book, you’ll feel this connection and the need to read more. There were awful books that I’ve read before, but they’ve pulled me right in. Perhaps the reason they’re awful was because of a lame ending or characters. Still. I was pulled. Not the case for those two books that I didn’t finish. No connection at all. that aren’t released yet, but that we’re eagerly awaiting. 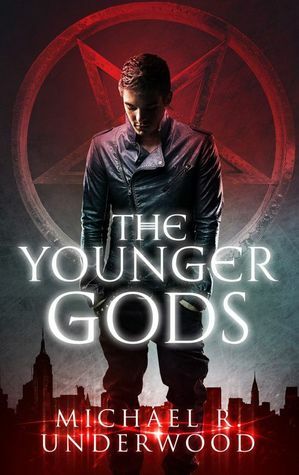 When seventeen-year-old Lilliana Young enters the Metropolitan Museum of Art one morning during spring break, the last thing she expects to find is a live Egyptian prince with godlike powers, who has been reawakened after a thousand years of mummification. And she really can’t imagine being chosen to aid him in an epic quest that will lead them across the globe to find his brothers and complete a grand ceremony that will save mankind. But fate has taken hold of Lily, and she, along with her sun prince, Amon, must travel to the Valley of the Kings, raise his brothers, and stop an evil, shape-shifting god named Seth from taking over the world. Anyway, let’s just get to your favorite part. Giveaways! I’m not sure if this is for International though, but I guess it is. All you need to do is to pick a song that you want to be included on the Reawakened’s official playlist. You have until May 28th to enter. The winner will be announced in early June. I’ve decided to join this ’cause I think it’s pretty fun and easy. Plus I really want to quote smart retorts, full blown bullying, words of wisdom, swoon worthy lines and the like without giving much to readers about the entire book. A quote or two won’t hurt I guess. 2. Randomly open a page. 3. Share two (2) “teaser” sentences. 4. Share the title & author, too, so that other TT participants can add the book to their TBR Lists. This is from one of my favorite Chinese restaurant. Yeung Chow fried rice is a popular Chinese-style wok fried rice dish. is a type of traditional Chinese dumpling served as dim sum. End of Days is the explosive conclusion to Susan Ee’s bestselling Penryn & the End of Days trilogy. After a daring escape from the angels, Penryn and Raffe are on the run. They’re both desperate to find a doctor who can reverse the twisted changes inflicted by the angels on Raffe and Penryn’s sister. As they set off in search of answers, a startling revelation about Raffe’s past unleashes dark forces that threaten them all. When the angels release an apocalyptic nightmare onto humans, both sides are set on a path toward war. As unlikely alliances form and strategies shift, who will emerge victorious? Forced to pick sides in the fight for control of the earthly realm, Raffe and Penryn must choose: Their own kind, or each other? Great ending to a fantastic series! Penryn is ladened with the responsibility of not only keeping her family safe but also the entire human race? Tough task for a 17 year old. Those who have read the first two of this series will definitely be pleased with the ending, as much as we don’t want to see it end. So much thought was put into the World After and all its characters it was a great read with a satisfying ending. We see character development- some predictable and some not, back stories, and action packed fighting! where we publish a new post with a photo interpreting the weekly theme..
What does “enveloped” mean to you? It could be your post-bath toddler wrapped burrito-style in a huge fuzzy towel. How about the ever-present fog that meanders through your city? Is it the well-loved hammock you lie in devouring novels as if they were candy? Maybe it’s your favorite fluffy comforter, edges worn from love and use? See how the sky was enveloped with dark clouds at dusk? If you see a book you like but see it is 400 or 500+ pages, will you still read it? 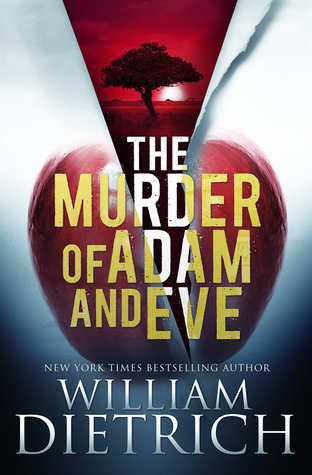 In this fast-paced and though-provoking thriller, two teens time-travel to prehistoric Africa to judge whether to save our ancestors: the genetic "Adam" and "Eve" whose descendants will go on to populate the world. When 16-year-old Nick Brynner explores an old fort on a forbidden island for a school history project, he stumbles onto a time wormhole. What follows is a mysteriously deserted village with a prowling sentry that looks like a gargoyle, and narrow escape with the help of fellow teen Eleanor Terrell.